I’m all about investing in classic items and the trench coat is top of my list. You literally cannot go wrong with a good quality trench coat, it’s a must-have staple item for everyone’s wardrobes. Whether you heading to work, dressing up for a wedding or even just around town for a day of shopping, the trench coat will be a good call. You’ll certainly get your money’s worth out of this item as you can literally wear it to all occasions. I’m going to show how to style a trench coat in three different ways to fit different occasions. 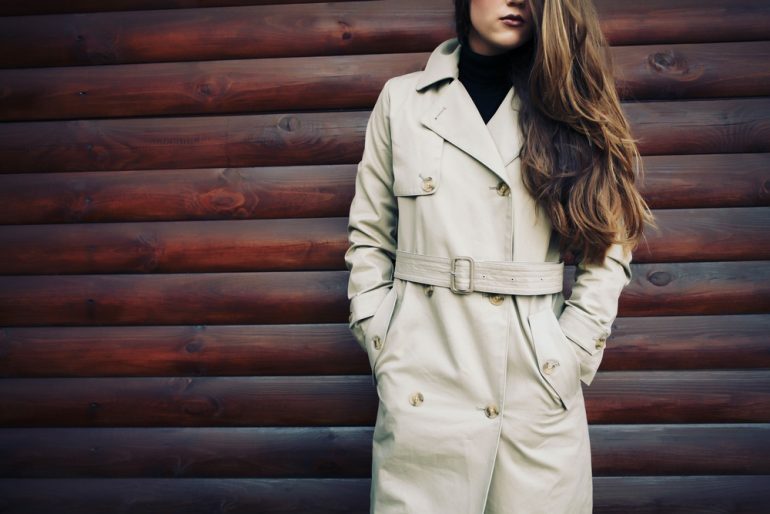 At the moment, there are some great classic women’s trench coats on the high street,the classic shape will always be a winner but you could also go for a suede look style like the Zuppe Clothing Trench Coat or even an oversized style. The Trench Coat is perfect for wearing to work or looking a little smarter to formal occasions. Whilst the jacket keeps the outfit very stylish, add a print into the mix if you want to take it to the next level. I’m currently loving leopard print at the moment to really make an impact. The trench coat is the perfect coat to cover up whilst at a special occasion such as a wedding, especially in the cooler months. I think adding a pop of colour is a great idea to make your outfit stand out. Think pastel pink, lemons and mint greens to really bring this outfit alive. The great thing about this coat is that it literally can be paired with anything. For a casual look, adding a little Parisian flair with a striped top looks fantastic. The colours also really work well with a brown leather backpack. The trench coat is very versatile and can be worn throughout the year if teamed up with the right outfit. They say a classic will never go out of fashion and this would be a staple classic to your wardrobe. If you think the coat looks a bit expensive…buy it! Have a splurge, because you will pulling this out of your wardrobe over and over again.